What’s up with ‘bizarre’ Obama plan for OSMRE? October 27, 2011 by Ken Ward Jr.
OK … now let me make this clear: When I first heard that the Obama administration and Interior Secretary Ken Salazar were going to merge the federal Office of Surface Mining Reclamation and Enforcement with the Bureau of Land Management, I asked my source to repeat what they said … I thought for sure I had a bad connection on my cell phone. The Obama administration wants to merge the federal Office of Surface Mining, which enforces and oversees federal and state regulations on the coal industry, with another federal agency … Late Wednesday afternoon, U.S. 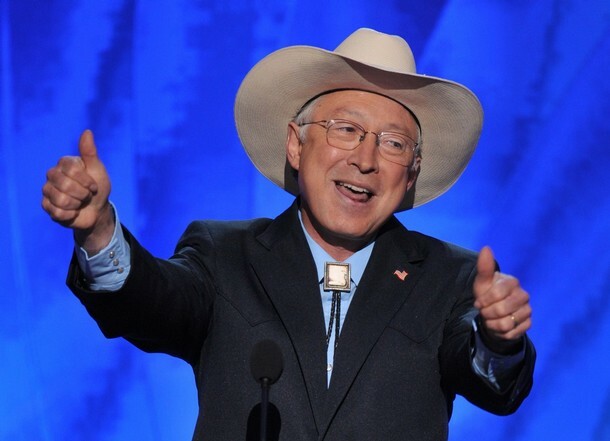 Interior Secretary Ken Salazar announced he is currently evaluating the best way to integrate OSM with the federal Bureau of Land Management. We must always be looking for ways to make government work better, to build on our strengths, and to get the most out of the limited resources we have. OSM and the BLM have vital natural resource missions, tremendous public servants, and strong leaders who are helping us rethink how we better deliver services and how we can further strengthen our regulation, reclamation, and stewardship responsibilities. We will rely on the ideas and input of employees and many others at every step of the process, so that we ensure that an integration is successful and consistent with our authorities under the law. There’s more about what the Interior Department is up to in this memorandum, this order, and this list of questions and answers. Rumors of an imminent announcement about the reorganization circulated among mining industry leaders and on Capitol Hill all day, and officials are reportedly vetting a draft order to accomplish the change. Interior Department spokesman Adam Fetcher is not commenting on the reports. One source familiar with the deliberations cited cost savings and efficiency as reasons for the possible change, saying combining operations could cut down on administrative functions. Early critics of such a move say OSM and BLM have distinct functions. 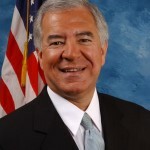 Rep. Nick J. Rahall, D-W.Va., the last member of Congress who was on the House Natural Resources Committee when OSM was created in 1977, said the agency “provides a sounding board for Appalachian residents to express their concerns to the federal government. Fair enough. And it seems likely that some coalfield citizen activists and environmental advocates — particularly those who have been around longer and have strong ties to the notion that OSMRE was set up by Congress to police the coal industry — will probably be uneasy with the Obama proposal, or oppose it outright. — Under Pizarchik’s leadership, OSMRE has not necessarily appeared to know what it’s doing. Look at the total fiasco regarding efforts to rewrite the “buffer zone” rule. It’s one thing for the administration to take shots from Congress and the coalfield media for its efforts to crack down on mountaintop removal. But it’s quite another to get beat up when an agency bungles a rulemaking as much as OSMRE has bungled this one. — Not for nothing, but is this whole proposal legal? Sure, the federal strip-mining law gives the Interior Department general powers and duties, but law also mandates creation of OSMRE and vests in that agency a bunch of powers, including some that Salazar appears to be wanting to shift to BLM, such as management of the Abandoned Mine Lands program. — For many years, one problem for OSMRE has been that it’s not a bureau that Interior Department higher ups consider very important. This view was driven in large part because of Interior’s historic focus on western issues — public lands, tribal issues, etc. It’s hard to see how this merger would do anything except make that problem worse, at the expense of eastern mining issues like mountaintop removal and subsidence. — In its efforts to take steps to reduce mining impacts, the Obama administration has clearly wanted the U.S. Environmental Protection Agency — not OSMRE — taking the lead. Obama cared so little about OSMRE that he put a relatively minor figure, Pizarchik, in charge — rather than picking a dynamic leader, like WVU’s Pat McGinley or the choice of Kentucky environmentalists, Joe Childers. Plenty of people in the environmental community told Obama advisers early on that they could — and should — fix OSMRE (see here and here). The administration just didn’t really listen. I am concerned that OSM will be diluted or denuded, and will not serve as the same repository of coalfield residents’ concerns. Now, is there anybody who follows strip-mining issues who doesn’t believe that OSMRE isn’t already “diluted and denuded”? Anyone who thinks that OSMRE isn’t already not the watchdog for coalfield residents that Congress intended? Anybody really think OSMRE hasn’t both been cut and slashed nearly to death by administrations from both parties? Seriously … does anybody think OSMRE didn’t lose its way a very long time ago? Don’t get me wrong … I know a lot of folks at OSMRE. Many of them are some of the most dedicated, hardworking and talented public servants I know. Many of them toil away investigating citizen complaints they know their bosses won’t let them do much about or writing reports about mining-related abuses they know they’ll not be allowed to stop. And for anybody who wants to blame this all on the early decisions about OSMRE made by the Reagan administration, or on coal-industry backed moves by George W. Bush, go back and read the landmark Public Employees for Responsibility report, “Empty Promise,” which rightly notes that it was the Clinton administration that made the biggest cuts in OSMRE budgets and staffing — and put in place policies that basically ordered field staff at the agency to back off tough oversight of state regulators. And in fact, our friend Rep. Rahall knows full well about the ineffectiveness of OSMRE. Not so long ago, when he was chair of the House Natural Resources Committee, citizen groups practically begged Rep. Rahall to do something to push OSMRE toward meetings its real duties to the coalfields. But that never happened, and Rep. Rahall is on the GOP bandwagon to block the Obama administration’s other efforts to reduce mining impacts. It’s too soon to say where this Obama proposal for OSMRE is headed, whether it could really happen. It’s not clear the merger makes much sense at all. But one thing is sure — by not doing its job in the first place, OSMRE has probably lost what could have been its biggest backers in trying to save it from a merger. And by not pushing OSMRE to stand up more firmly for coalfield residents, lawmakers who now question the Obama proposal have a hard sell in proving that a merger takes away a serious industry watchdog. I do wish Rahall would quit confusing the “Appalachian residents” with his buddies in the Coal Industry. You said it Ken, he’s known about OSM’s ineffectiveness for decades. He has never been interested in the “coalfield residents’ concerns” in the past, only the concerns of coal’s bottom line. I should know, I have requested several meetings with him personally. I went to the hearings in DC titled “EPA’s attack on Appalachian Jobs” and was told by the offices of those on Committee that Nick Joe worked hand in hand with the Republican majority to set up the witness list that was stacked in favor of coal and only had one representative from EPA and not a single impacted citizen. When I asked his staffer Ann Adler about this she seemed socked and denied such. 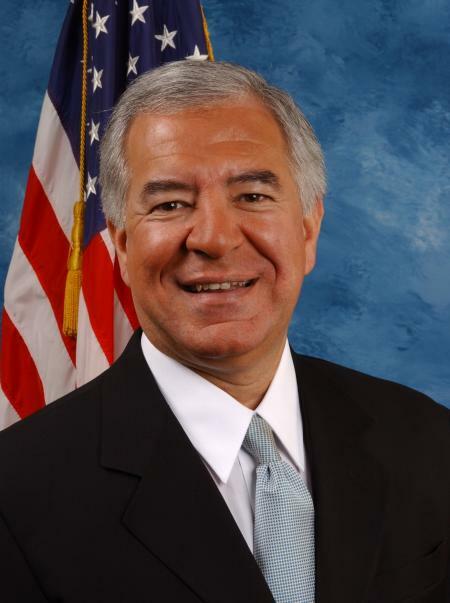 Rahall only represents the Coal Industry. Not to mention his audacity to brag about blocking the Clean Water Protection Act. I think West Virginia should change its nickname from the “Mountain State” to the “State of Denial”. After all, they are already taking away the mountains but the denial seems to be widespread. Interesting… my first thought (even before I got to that point in your blog-post) is that Congress created OSMRE and that it would take another act of Congress to end its mission or even merge it, as is suggested. But I can’t imagine the current House giving any aid to Obama’s ideas, even if and when they make sense. Unfortunately, so few states will be affected (or the effect would be minimal) that the plan will probably escape the attention of media outside the regions most impacted. I’ll look forward to reading the industry’s public reaction. And the states – would they lose primacy in such a merger? The legality of this move should and will most likely be challenged. OSM is a already highly understaffed, and under the BLM it will most likely suffer more cuts. There is also the question of how decision-making will be affected and whether the Office will retain its director and if so, at what level. As a result, I would expect OSM’s efficacy to decline even further: unless significant BLM resources and personnel were shifted in support of SMCRA functions. I need to think more about this, but at first blush, if Rahall is opposed to it I’m of the mind to think it may be a good thing. Don’t forget, BLM has often be called, in jest of course, the Bureau of “Logging and Mining”. It’s not as if we would see a major shift in philosophical approach, as they are accustomed to accommodating extractive industries. The main question would be how a multiple-use land management agency would manage its resources to efficiently and effectively implement SMCRA. I’m having a hard time visualizing it. Rahall’s opposition most likely stems, and this is conjecture, from a sense of ownership and investment in the legacy of SMCRA. OSM’s problem is that it’s weak leadership has lost it’s mission. There are those within the agency that do a good job but bowing to political pressure as is currently being done results in a loss of credibility from all sides. They made their nest now lie in it. Arrogance of some leaders of OSM like those in West Virginia deserve to lose whatever credibility the office may have bestowed upon them. Those groups that do training and specialize research have proven themselves. The oversight branches are a duplication of government that should be eliminated. The problems of OSM go all the way back to its beginning in 1978 — the political support for it vanished quickly. Even the Carter Administration that started it acted quickly to let the states do whatever they wanted. Interior Secretary James Watt singled it out for special treatment which it got plenty of. Last July, after the streams around the Skyline mine turned red, Federal inspectors from Office of Surface Mining’s Knoxville office ordered the mine closed until the company came up with a plan to stop the pollution. The stop-work order, one of the strongest penalties available to Federal officials, followed more than two years of effort by the Knoxville office to compel Skyline to deal with the problem. Under the strip-mining law, when a stop-work order is issued the company must either eliminate the problem or seek temporary relief from a Federal judge before resuming operation. Such relief can be granted, though, only if the company can prove that continuing to mine will not harm the environment. But three days after the stop-work order was issued, say mine inspectors here, Skyline was back in business without having taken either step. Federal officials in Knoxville were directed by their superiors in Washington to lift the order, an action that meant Skyline and its 60 employees could continue mining more than 1,400 tons of coal, valued at more than $38,000, a day. The mechanism used to lift the stop-work order was a one-of-a kind agreement prepared by lawyers for the Government and and Skyline and which they named “interim temporary relief.” Experts on strip-mining law in and out of the Government said there was no such thing as “interim temporary relief” either in the Federal strip mining law or its regulations. But Kevin Feeney, a spokesman for Skyline’s parent company, Amax Coal Industries of Indianapolis, the nation’s third largest coal company, said the company had alerted Mr. Snyder of its troubles in Tennessee through the National Coal Association, the industry’s Washington-based lobbying group. Interior just announced that the secretrial order has been delayed. Now there is no specific date, except that they will release a report on the proposal by Feb. 15, 2012. Pretty quick about-face.